The Kingdom is very recent, indeed it has been founded only two years ago, when in a far far land, King Alfredo Sìleni I took control over a little village which then, became a big city. Alfredo was not of noble origins, indeed he was only the son of farmers. He grew in that village and never moved from there, though its ruler was his uncle and as he had no children the only heir at his death was, indeed, Alfredo. Two years later the city has seen its first barbarian attack and, undefended and not prepared at all it's been wiped out quickly. The population was massacred and only few managed to escape. The King took the rest of the people with him and decided to move out, in a new land, to start again. 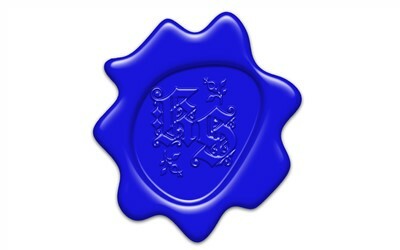 Official Seal of the Kingdom, used by the King. In the seal you can recognize two letters which are K and S. They stand as Kingdom of Sìlen, though some claimed that it meant King Sìleni. If you want to join you can contact me on steam or write on this thread. The problem I see with this is that it would be very boring to be king, for example. in real life it'd be fun, but ingame it seems awfully boring to me, as well as a lot of other jobs. I can confirm that Silen is a skilled builder (helped me with my "Warfield" project). I think the server will look beautiful and looking forward to joining it! That's exactly why we play Roleplay, so it can be fun as in real life. We're not playing currently as the state of the game right now doesn't allow us to do any roleplay, but in future, as the game developes, then we will join a Roleplay server and start with this faction. How come it doesn't allow you RP? I can't see anything stopping role playing from happening or am I missing something? This thread is more than two years old. Sorry, didn't look at the date, my bad.